On a shocking note, Erramanzil Court has sentenced 1 year jail to Tollywood senior actor Mohan Babu in a cheque bounce case. 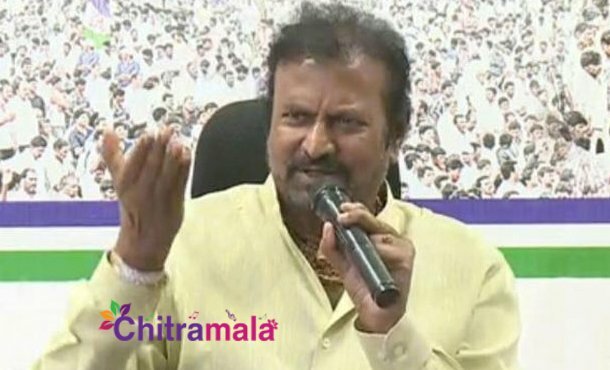 The court has imposed a fine of Rs 41.75 Lakhs to King Mohan Babu. Digging deep into the story, In 2010, director YVS Chowdary helmed Mohan Babu’s elder son Manchu Vishnu starrer ‘Saleem’. After that film, Mohan Babu gave a cheque of Rs 48 Lakh to YVS Chowdary as part of remuneration for YVS. As the cheque got bounced, the film makers approached and asked Mohan Babu to give the money but he has reportedly refused to do so. So, YVS Chowdary approached the court and the court had held Mohan Babu guilty in the case. The court sentenced to 1 year jail to Mohan Babu and ordered him to give back the money. But Mohan Babu who has reacted on this issue is telling a different story. He claim that he has already settled the ‘Saleem’ movie amount long ago. “In 2009, we gave cheque of 40 lacs to YVS Chowdary as an advance to do another movie under our production banner but later we cancelled the project and ask YVS not to deposit that cheque. But he has intentionally did this so that he can accuse me in a cheque bounce case. We are challenging the decision in the sessions Court” Mohan Babu gave clarity.